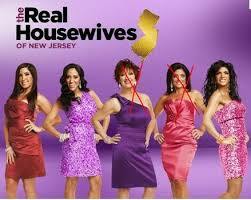 The popular Bravo franchise is back, and this time it's in New Jersey! Get ready to see how five of Jersey's most affluent ladies live. Season 3 is all about family as Teresa Giudice, Caroline Manzo, and her sister-in-law, Jacqueline Laurita, all return and welcome new housewives Melissa Gorga, Teresa's sister-in-law, and Kathy Wakile, Teresa's first cousin. The drama picks up where last season left off when holidays are celebrated, children leave the nest and tensions run high between housewives.